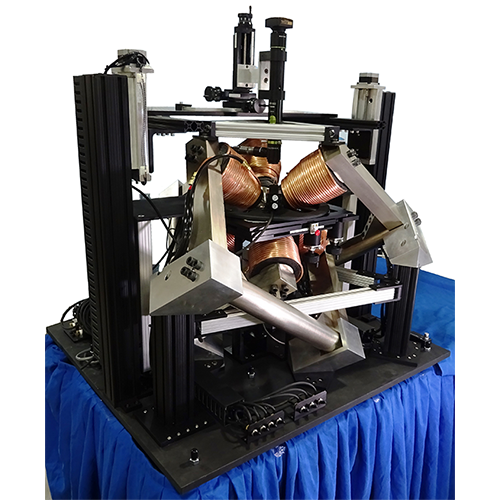 The MPS-C-300 and MPS-C-350 magnetic probe systems are the world’s first probe stations capable of providing three-dimensional magnetic field control around a device under test. MicroXact’s truly unique patent-pending design enables wafer-level testing of spintronic devices, nanoscale electronics and many other materials and devices where magnetic fields are required for accurate test and measurement. Spin-current and spin torque oscillator testing, magnetic simulation and identification of anisotropy of complex multilayer structures are just few examples applications of our MPS systems. MPS series magnetic probe stations are the only probe stations on the market that offer arbitrary two- or three-dimensional orientation of applied magnetic field, making these probe stations an ultimate solution for spintronic device characterization and spintronic research. 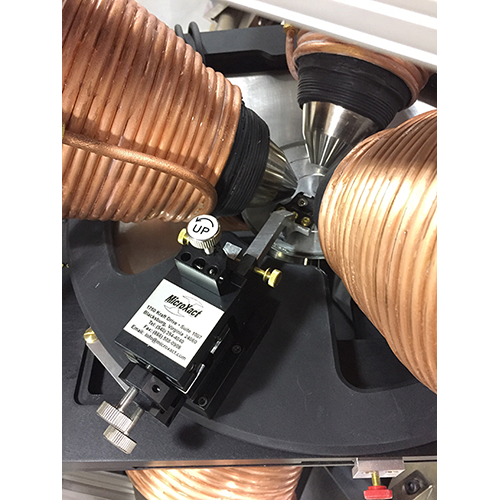 MPS series magnetic probe stations are the only probe stations on the market that offer wafer-scale Vector magnetic field probing, making these systems ideally suited for testing of spintronic and magneto-electronic devices in production environments. Fully customizable, open-source LabView-based control software that easily integrates with the most common test and measurement devices. Available high-resolution micropositioners with 40, 80, 100 and 200TPI screws for down to micron-level positioning of probes. Data collected and/or analyzed with a wide range of output formats and options available. Systems are supplied with a three-dimensional Hall probe to provide unmatched stability and accuracy of the applied magnetic field via closed-loop control. Upgrade for 150mm or 200mm wafers. Extended magnetic field range (from below 100μT to 0.3T for MPS-C-300 and to 0.6T for MPS-C-350). Polarizing microscopes for domain imaging during probing. Wide selection of wafer chucks. Wide selection of micropositioners, probe arms and probe tips. 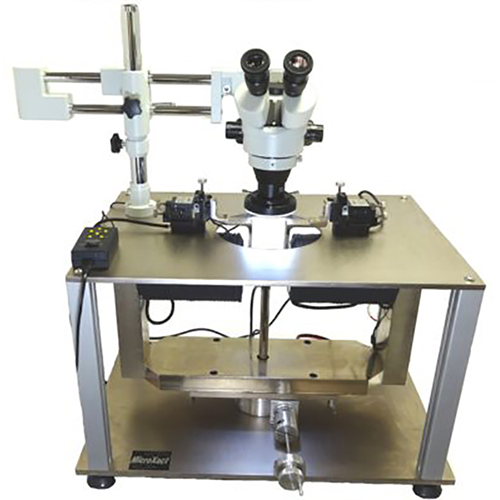 MPS –C-350 is the most powerful MicroXact’s probe station for testing devices in 3D magnetic field. It is available with and without feedback control loop. The system uses three water-cooled C-magnets and requires either tap water or external chiller. Various accessories (microscopes, micropositioners, DC or RF probes, light tight enclosure, thermal chucks) are available. MPS-C-300 is the less powerful but also more affordable version of MicroXact’s 3D magnetic field probe stations. The system is upgradable to 150mm or 200mm wafers chucks.